The Dutch in the History of Biblical Scholarship, cont. 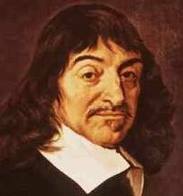 Descartes’ methodology of doubt has as a corollary his break from all tradition, particularly the Aristotelian tradition that had dominated European Christian thought for centuries. For Descartes, philosophy is the project of an individual mind (namely his own), not a conversation of minds through history. Of course, Descartes is almost naïve in his failure to realize his own indebtedness to the Western tradition, since the language and concepts in which he communicates are themselves the patrimony of a long intellectual history. Nonetheless, Descartes is dismissive and contemptuous of the accomplishments of those who have come before him, and he does not regard them in any sense as a source of truth or illumination. An odd set of circumstances had me doing some work in an area wherein I usually don't research or publish, namely, the history of biblical scholarship. One of several surprises I came across in the process of researching for a little essay, was the significance of my ancestral homeland, the Netherlands, to the development of modern thought, and particularly modern biblical scholarship. During the wars of religion that characterized the post-Reformation period and dominated the seventeenth century (1600's), the Netherlands established their independence from Spain and reached the brief zenith of their economic and military power on the global stage. The relative political tolerance in the Netherlands in this time period, particularly in and around the capital Amsterdam, attracted all manner of radical intellectuals whose writings anticipated and provoked the "Enlightenment," which did not "arrive" in most of the rest of Europe until the eighteenth century (1700's). Cardinal Mahony Explains the "Pallium"
Over at his blog Cardinal Mahony has offered a great explanation of the "Pallium" (i.e., the white band worn around the neck of a bishop; cf. 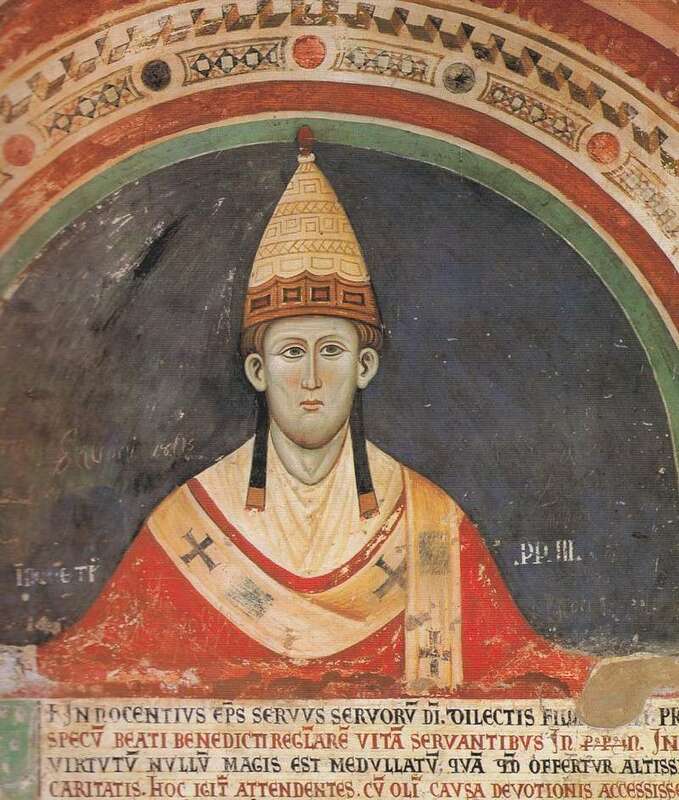 the ancient image of Innocent III). "About 400 members of the Archdiocese of Los Angeles are en route to Rome for the bestowal of the Pallium upon Archbishop Jose H. Gomez, the Archbishop of Los Angeles, by Pope Benedict XVI on June 29, the feast of Saints Peter and Paul. But what is the Pallium? It is a circular band about 2" wide, worn about the neck and having two pendants--one hanging down in front and one behind. It is worn over the chasuble at Mass. Every February two lambs are blessed each year and their white wool is used to make the Pallium. The wool is presented to the Pope, and Sisters then make the Pallium for the new Archbishops. Pope Benedict: The Psalms as the "Great Prayerbook"
"In our catechesis on Christian prayer, we have looked to a number of Old Testament figures who represent models of prayer. We now turn to the great "prayerbook" of sacred Scripture: the Book of Psalms. These inspired songs teach us how to speak to God, expressing ourselves and the whole range of our human experience with words that God himself has given us. Despite the diversity of their literary forms, the Psalms are generally marked by the two interconnected dimensions of humble petition and of praise addressed to a loving God who understands our human frailty. In Hebrew, the Psalms are called Tehellim or songs of praise; the prayer of praise is, in fact, our best response to the God who even at times of trial remains ever at our side. Many of the Psalms are attributed to David, the great King of Israel who, as the Lord’s Anointed, prefigured the Messiah. In Jesus Christ and in his paschal mystery the Psalms find their deepest meaning and prophetic fulfilment. Christ himself prayed in their words. As we take up these inspired songs of praise, let us ask the Lord to teach us to pray, with him and in him, to our heavenly Father. I welcome the participants in the Congress of the European Society of Clinical Neurophysiology, with good wishes for their deliberations. I greet the Catholic educators from Canada and the United States meeting in Rome. I also greet the officers of the International Association of Machinists and Aerospace Workers. My welcome goes to the American seminarians taking part in a study program in Rome, and to the novices of the Missionaries of Charity. Upon all the English-speaking pilgrims, especially those from England, Scotland, Sweden, Indonesia and the United States, I invoke God’s abundant blessings." 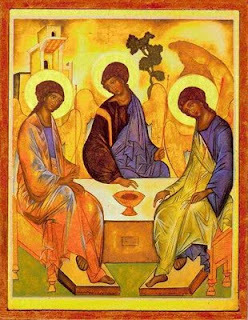 This weekend we observe the Solemnity of the Most Holy Trinity, a liturgical feast which celebrates the central mystery of the Christian faith. Belief in the Trinity distinguishes Christians from adherents of all other world religions. Hinduism is pantheistic, Buddhism agnostic. Islam and Judaism hold to monopersonal monotheism. Jews consider the Trinity erroneous, Muslims find it offensive. Although the truth of the Trinity cannot be demonstrated, and must be accepted by faith in God’s revelation of Himself, nonetheless, philosophical meditation on the nature of love lends credibility to this act of faith. In conversations lately it has been revealed to me that some people have missed how cool the title of this website is. I have to explain it in case others have missed it. Indeed, I'm still stunned that the domain was available. 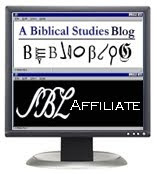 Yes, the title "The Sacred Page" works well for this blog because it is a term used for Scripture in Christian tradition and this is a blog about biblical studies. In particular, as explained under the mast above, the title is meant to echo Dei Verbum 24, a passage from the Second Vatican Council that speaks of the need for Scripture to remain the "soul" of theology. But "The Sacred Page" also works as a title for a website devoted to Scripture study because the term "page" is also used for a website, e.g., your "homepage". However, as I always explain, the title is a reference to Scripture, not so much for this website (the authors here do not consider themselves "sacred authors" or, in any way, "inspired"--though John is quite inspiring!). 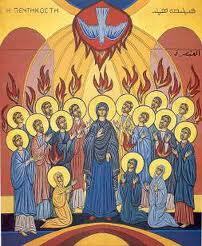 While we are still close to Pentecost I thought I'd just cover a little bit of ground I've covered before here. Of course, we all know the story from the book of Acts which relates how the Spirit came and descended upon the apostles in the form of those “tongues of fire”. But I’ve always wondered―why tongues of fire? Of course, one thing Pentecost does is reverse the scattering that took place at Babel where languages--or "tongues"--were confused. But recently I discovered another possible background. Let me explain. Partner with John Paul the Great Catholic University from JP Catholic University on Vimeo. Go here to learn more about how you can help. Archbishop Gomez is now using social media websites as part of his ministry! This is great! I've put certain parts in black. My comments are in the red brackets. Are you on Facebook? I am now. Not long after I put up my “public figure” page on Facebook, more than 800 people have “liked” it — from all over the world. Some are old friends, others are new friends. It is exciting to meet so many people who want to share their faith in Jesus Christ and their love for his Church. Already I have new people to pray for and new people to pray for me and our great Archdiocese. This new world of social media, mobile devices, and digital technologies, is very interesting to me. The early Christians were able to spread the Gospel so rapidly because the Roman Empire had a vast network of roads. This enabled missionaries to travel to every part of the known world to preach the good news face-to-face. I believe we have a similar opportunity now in the avenues opened up by the Internet. Pope Benedict XVI has described the world of on-line communications and social networking as a "digital continent". [Pope Benedict is awesome.] That is a powerful image for us to reflect on. As the Church sends missionaries to every continent, we now need to send missionaries to proclaim the Gospel in this new digital continent also. This new continent has its own landscape, its areas of danger and unknown. The people who “live” in this continent have their own languages, customs and cultures. We have to learn all about this continent in order to evangelize it. The message of the Gospel never changes no matter where it is preached or what media we use to deliver it. But we need to always be looking for the “language” that best communicates our Lord’s saving truths. I plan to use my Facebook page as a way to listen and to talk to people. Because of my pastoral duties, it won’t be possible for me to respond personally to every message that people post on my digital “wall.” But I have already begun to post messages and to pray for those who write to me. I hope that through sharing my homilies and these columns I write and my reflections on my ministry, I can help build a “virtual” community of genuine faith and prayer. I want to use this new media to help people become more aware of God’s presence in their lives. I want to help them appreciate the Church’s deep spiritual wisdom and the practical relevance of her teachings. Many people are concerned about the possibly harmful aspects of this new media. I am too. And I plan to use my “new pulpit” on Facebook to speak about these things from time to time. 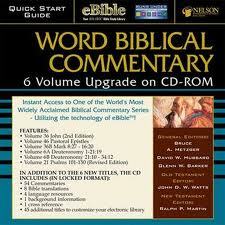 But our first task as a Church is to claim this new media for the service of the Word of God. In his preaching, St. Paul speaks of Christ this way: “To us has been sent the message of this salvation” (Acts 13:26). We need to use this new media to proclaim Jesus as the one “message” that can truly change people’s lives. He is the Word that everyone is waiting to receive. I hope all of you who are on Facebook will join me. I will be offering regular updates of my “status” and invitations to prayer and spiritual growth. In two weeks, I leave on pilgrimage to Rome to receive my Archbishop’s pallium from Pope Benedict XVI. I am planning to use Facebook to update you often during this time of grace for our Archdiocese and for me. So let us ask the intercession of Our Lady of the Angels, that all of us may use every medium we have to deliver the message that salvation is found in her only Son, Jesus Christ. 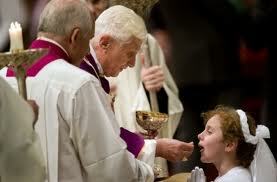 "And so, there cannot be faith in the Holy Spirit if there is not faith in Christ, in his sacraments, in his Church. A man cannot act in accordance with his christian faith, cannot truly believe in the Holy Spirit, unless he loves the Church and trusts it. He cannot be a coherent Christian if he limits himself to pointing out the deficiencies and limitations of some who represent the Church, judging her from the outside, as though he were not her son." --St. Josemaria Escriva, fom the homily "The Great Unknown," in Christ is Passing By. "Of recent commentators the number is almost infinite. Their superabundance makes it difficult for the reader to know which to choose … Among commentaries which are so divergent in their interpretations, you do not know which one to prefer and follow. Many, moreover, are so wordy that not only students but even learned scholars who devote themselves entirely to Sacred Scripture do not have the time and leisure to read them (not to mention the intellectual strength and endurance)." —Fr. Cornelius a’ Lapide, S.J., from his Commentary on the Gospel of Matthew, published c. 1630. 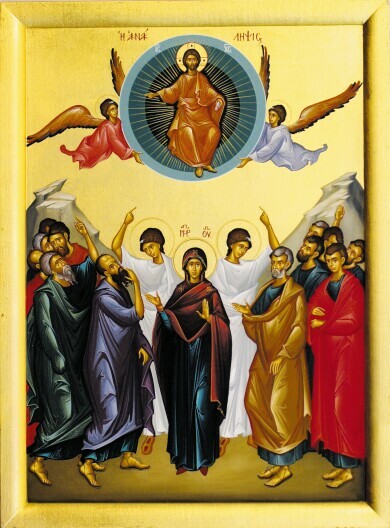 In the Diocese of Steubenville, as well as in most of the USA, Ascension Day is observed this Sunday. I wish the traditional observance on Thursday of the Sixth Week of Easter was retained, but reality is what it is. Therefore, this weekend we will look at the powerful readings for Ascension Day. This is an unusual Lord’s Day, in which the “action” of the Feast Day actually takes place in the First Reading. We typically think of all the narratives of Jesus’ life as recorded in the Gospels, overlooking that Acts records at least two important narratives about the activity of the Resurrected Lord (Acts 1:1-11; also 9:1-8). I can't wait for tomorrow's broadcast! 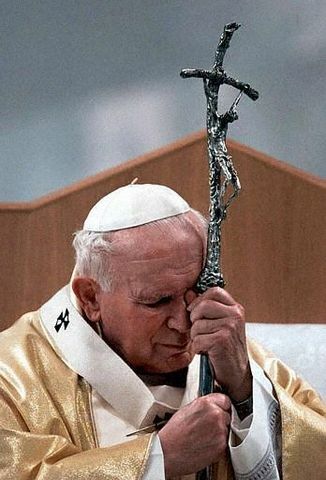 John Paul II and the Trinity: Webinar Today!!! For anyone who might be interested, today (Thursday, June 2) @ 6pm I will be doing a special on-line event for JP Catholic. You will be able to hear a presentation of mine called, "John Paul II on the Trinity as the Model for the Family" and then there will be a Q & A. Go here to sign up for this free event! In the 30-minute online webinar, Dr. Michael Barber will discuss Blessed John Paul the Great on the Trinity as the Model for the Family, and will focus on his understanding of God, family, and culture and how a true understanding of the family can Impact Culture for Christ. It is followed by a Q&A session with Dr. Barber. To register for the 6:00 pm lecture on Thursday, June 2nd, please click here.